The clock hanging on the wall began to sound as the instructor addressed the class. After looking at the whiteboard to see today’s agenda, I could only mentally prepare myself for what I knew would be a long and painful hour. This was no regular classroom. This … was my CrossFit gym. The classroom, my CrossFit “Box”; the teacher, my CrossFit coach; the lecture, my “Work Out of the Day”; the pen and paper, my barbell and platform. 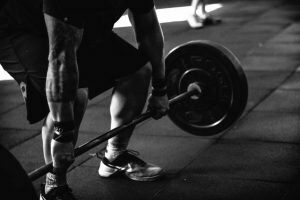 CrossFit is a high intensity fitness regimen known for the worldwide community it has created founded in camaraderie, competition, and motivation. Workouts are carefully designed, measured, and recorded to track progress and improvement for their athletes. I knew the moment I first stepped in a CrossFit Box, I would never go back to a regular gym. The “Box” was my canvas and I was the artist. In this case, I was a Picasso or van Gogh. It was something I had a natural talent for. CrossFit provides me 2 things that I love most in this life: fitness and competition. Let’s pause here to give you a little background information. In my family, I’m the 4th out of five children. If that isn’t enough, numbers 2, 3, and 4 (myself) are triplets. 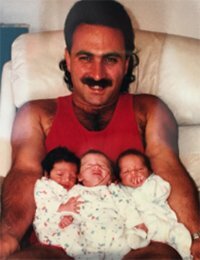 I know what you are thinking, “How were mullets ever a thing?” Honestly, I have no idea. Then your second thought was probably, “Your poor mother”. Yes, we were a handful, but we were the cutest handful anybody would ever want (see picture below for “cuteness” verification). Growing up, my brothers and I competed in everything. Naturally, some of these competitions resulted in conflict between us. A lot of it. And when they escalated, we had to hammer things out together (sometimes literally). Over the years, we learned a lot about how to manage our conflicts with each other through these spats and tussles. Take a wild guess at which style is most natural for me! 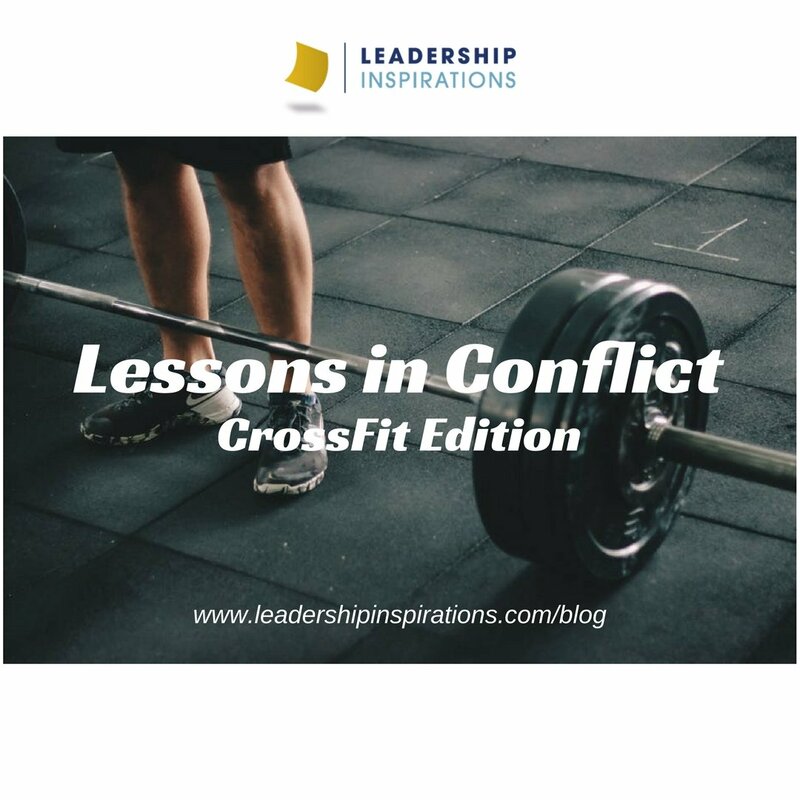 When we know what our preferences are when it comes to conflict resolution, we can use our strengths to better navigate conflict so that we can reach common ground with others. It took years of growth, but my brothers and I finally found a natural equilibrium between our personalities, something I like to call “Competition: the art of conflict.” To put it simply, this was our way of creating just enough trouble between us that we felt challenged and motivated, but not enough to ruin our relationships with each other. As we mastered this art, we became more competitive, but in our own ways. I wanted to outdo my brother, but in the end if I had beaten him, I wanted to help him so he would be just as good as me (and vice versa). We were like bricks and competition was our cement, it strengthened our bond. Granted, competing as a conflict resolution style won’t work for everybody or every situation, but I was able to make my style work for me in positive ways inside and outside the CrossFit Box. As we entered different streams of life, I slowly lost my competition buddies. This was a natural process that started the day we all graduated college (yes, we did go to the same college…and majored in the same subject…and roomed together). As time passed, I began to miss the daily battles I had with my brothers. That is until one day, they introduced me to CrossFit. This changed everything. CrossFit is driven by competition in the same way my brothers and I used to compete with each other. I had finally found the competition that I had been missing. Fast-forward to today, I have been doing CrossFit for about a year and a half and it has not only revolutionized my fitness routine but also the way that I problem solve and take on challenges in my life. I’ll leave you with this: Conflict is a double-edged sword. It can be healthy or destructive, it all depends on how you choose to handle the situation. Today, I use competition as the main fuel in my engine of success in everything that I do. In my opinion, conflict is not the hero you want, but the hero you deserve. (Yes. That was an obscure reference to the Joker in the 2008 Batman movie The Dark Knight). 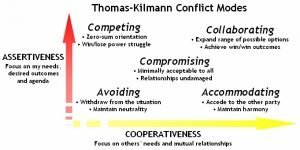 According to the Thomas-Kilmann model, which conflict resolution style do you think you use most often? When does it work really well? When does it not work so well? And why might that be? Which conflict resolution style would you like to know how to do better? Why? We are all capable of practicing all five of the conflict resolution styles! 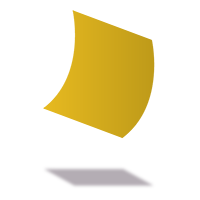 So, what are some actionable steps that you can take the next time you are managing conflict to try something new? 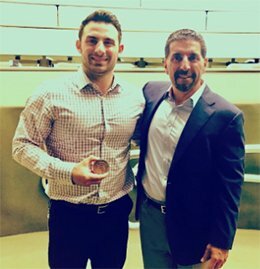 Giorgio Chirikian is an outgoing biomedical engineer who is a workout enthusiast, tv/movie connoisseur, side-cosmologist, gamer, festival goer, and a meat-atarian.